The wide input range, single output PQC 250 series of industrial/medical power supplies is rated at 250W output, and packaged in an industry-standard open frame 3.0 x 5.0-inch (75 x 127mm), 1U footprint. The design can deliver its full output using convection cooling when operating in temperatures up to 50°C, says the company. The supplies accommodate the universal AC input voltage range from 90 to 264V AC, and with a frequency range from 47 to 63Hz. The efficient convection cooling design employs optimal thermal management to deliver an energy efficiency rating of up to 95%. The PQC series currently is available in 12, 15, 18, 24, 36, 48, or 54V single output variants, each with a 5V standby supply as standard. Additional output voltage variants are currently under development including a 54V option, scheduled for a June 2017. The supplies have remote enable and consume less than 500mW of power in standby mode. 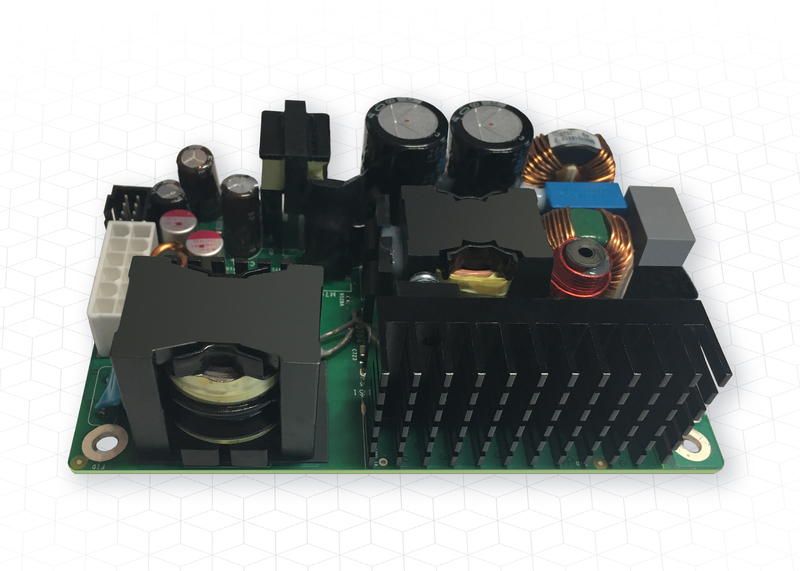 These power supplies can continuously deliver full output power across the wide temperature range 0 to 50°C and up to 70°C (with derating). The series conforms to medical, consumer, and ITE IEC/EN/UL 60950-1 safety approvals and incorporates 2 X MOPP (means of patient protection) isolation. With an isolation of 4000V AC (input to output) or 1500V AC (input to PE), they are suitable for powering ultrasound monitors, blood pressure monitors, incubators, ECG equipment, and operating tables. EMI compliance is certified to EN55022 Class B conducted emissions. Where an application requires more power or redundancy, the droop current share characteristic enables two or more power supplies to operate in parallel to increase output current capability and flexibility.